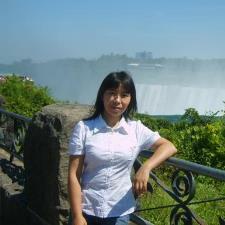 I have been worked as Math TA at McMaster University for more than 5 years, where I tutored undergraduate students taking levels 1-4 statistic courses and level 1-2 mathematics courses. My students said that I knew the secrets in the textbook. My GPA is A+ for my master's program (statistics) and Ph.D. program (statistics) as well. I have also privately tutored students on a one-on-one basis (in person and online) and 90% of my students successfully improved their overall comprehension and gained confidence in their mathematical and statistical approach. I love teaching and want to see my students succeed by providing individualized academic support, attention, patience, inspiration and encouragement. I hold a Ph.D. and Master's degree in Statistics from Statistics from a top-ranked university (McMaster University) in Canada with an outstanding academic record. I am good at SAS. I taught SAS labs for an undergraduate course, STAT 3A03 Applied regression analysis and guided students individually to use SAS to manipulate and analyze data. There are 33 students who participated in course evaluation. Overall, 79% of the students rated my tutorials as average or above. During my graduate study, I took several Biostatistics courses, Topics in Biostatistics, Experimental design and linear models, survival analysis, Generalized linear model (linear model, logistic model, mixed model etc. ), non-parametric statistics and Bayesian statistics. I got A+ for most of the courses. There were several subjects I needed help from Mathematical Statistics to using R with Time Series and Tao was spot on when we used the platform. She helped me with a fitting a SARIMA model and understanding how the graphs work and made sense. She is the tutor you need, worth every penny! Do not look anywhere else for help! Before Finding Tao, I had been struggling to understand the core relationships in my Mathematical Statistics course. Tao helped me connect the dots and see the underlying connections that the material had in an easy way that my own teacher was unable to do. Thanks to her I am fully able to grasp this difficult material and if you are struggling with hard statistics classes I highly recommend Tao for help and knowledge in the material! Tao was wonderful, she accommodates my schedule and went above and beyond to review my class notes and book to make sure she was teaching me the same way my instructor was. Tao was really helpful with explaining concepts in statistics (grad level). We went over OLS regressions, underlying assumptions and tests. She is very hands on and answered some of my questions in R. She prepares for the session in advance and then follows up with answers if there was anything left unanswered during the lesson. Would definitely work with her again. I am very pleased with my experience and session from Tao! She is extremely patient (this is not my strong suit) and carefully explains every step so I understood the process. She helped me with probabilities, calculating Z score & SE as well as other problems in R. I will definitely use Tao in the future! !